The GP Thunder Halogen Bulbs for Hyundai Veloster adds a fresh night time look with a higher light output than stock. If you are looking for an easy and subtle way to update the styling on the Hyundai Veloster, then upgrading the factory lights with GP Thunder Halogen Bulbs are the perfect answer. With the GP Thunder Halogen Bulbs, you will get a light output very similar to expensive HID kits but at the fraction of the price. 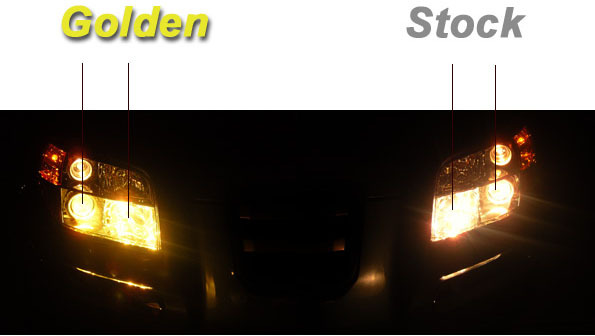 Not only will your car look better, but you will also be increasing your night time driving safety as well. The GP Thunder Halogen Bulbs produce a light output that is greater than stock, so you will be able to see road hazards and obstacles clearer and from further away. The GP Thunder Bulbs for Veloster will fit perfectly in the low and high beams with not fitment issues. They are available in 3500K, 7500K, and 8500K color temperatures so you can choose the type of light output and styling you want. 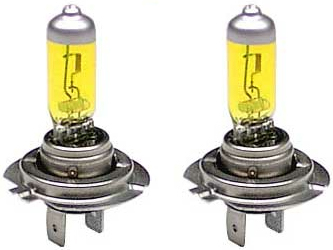 The light bulbs are made with the highest quality quartz glass bulbs and have been thoroughly tested to ensure that you are getting the highest quality products for your car. *Note: Some Hyundai Velosters use H11 bulbs in the high beams. Please check your car first before ordering.